Kaeser Cooling Air (KCA) units are non-cycling refrigerated dryers. 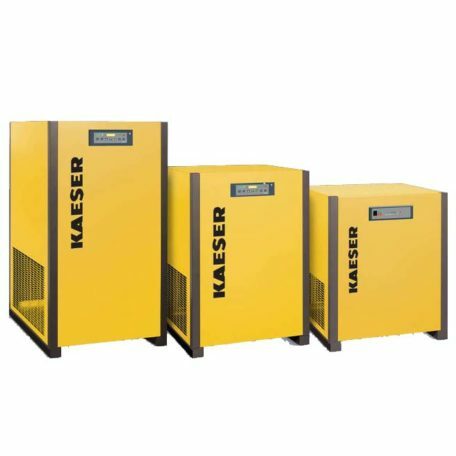 Compressed air flows directly into an air-to-refrigerant heat exchanger (evaporator) to cool the air to approximately 40°F. KCAs are ideally suited for applications such as cooling molds and parts to increase production rates in plastics, metal and glass production.